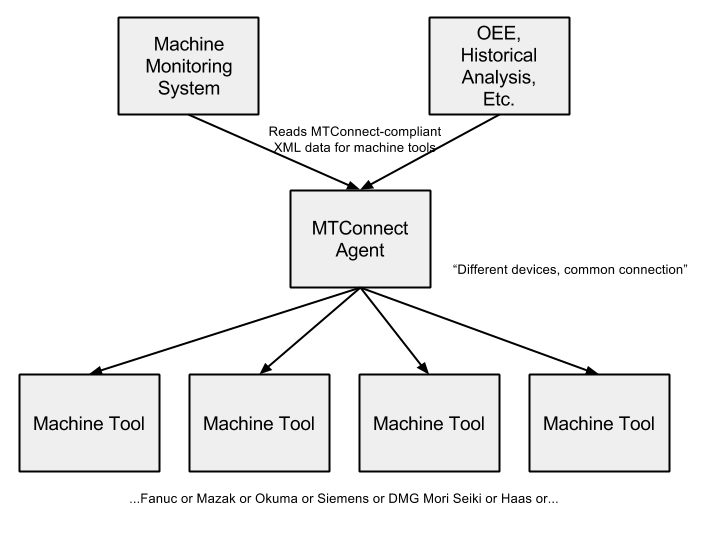 MTConnect is an open standard for data interchange between various types of machine tools. Based on XML, and utilizing standard web technologies, its goal is to improve interoperability between machine tools. MTConnect Institute – The organization that develops and promotes the MTConnect standard. MTConnect User’s Portal – A wiki containing information about MTConnect. MTConnect Forum – A message board for learning more about MTConnect and the availability of various adapters and applications. Or check out the articles available on this blog.